Ok ok I know for many of us the sun is still shining, yay!!! However with the girls getting ready to go back to school, I thought I best start getting them kitted out for the Winter months, this includes the much needed school coats. Now I am quite fussy when it comes to the girls coats, I like them to be long in length, a hood is a must and of course they need to be nice and cosy. Next kindly offered to send me school coats for the girls to review, so I popped on to their site to pick out which coats I would like for my daughters. 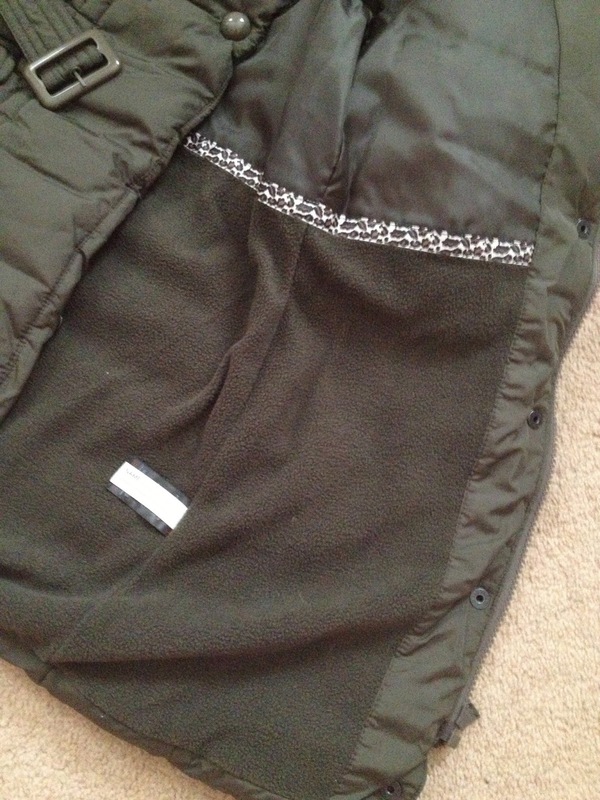 I decided on the gorgeous Long Military Front Jackets. What swayed my decision was the fact that they came in different colours, this meant that Elise and Freya could have the same coat but in a different colourway, no arguing about whose coat is better. This coat comes in four different colours including red and black. I asked the girls which colour they wanted. 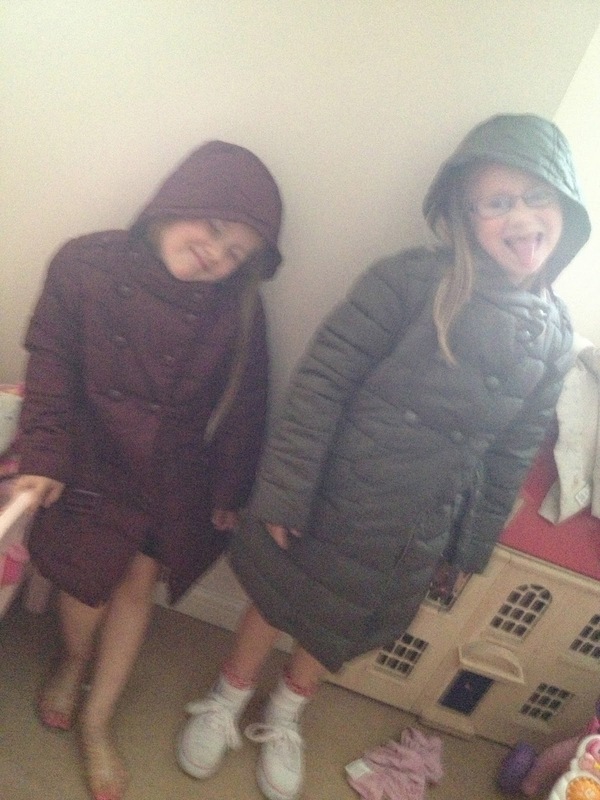 Freya decided on the Berry and Elise decided on the Khaki. Both colours were lovely, very smart looking, not too bright. I would say the Berry is more of a burgundy colour, which is the same as their school uniform so very fitting. 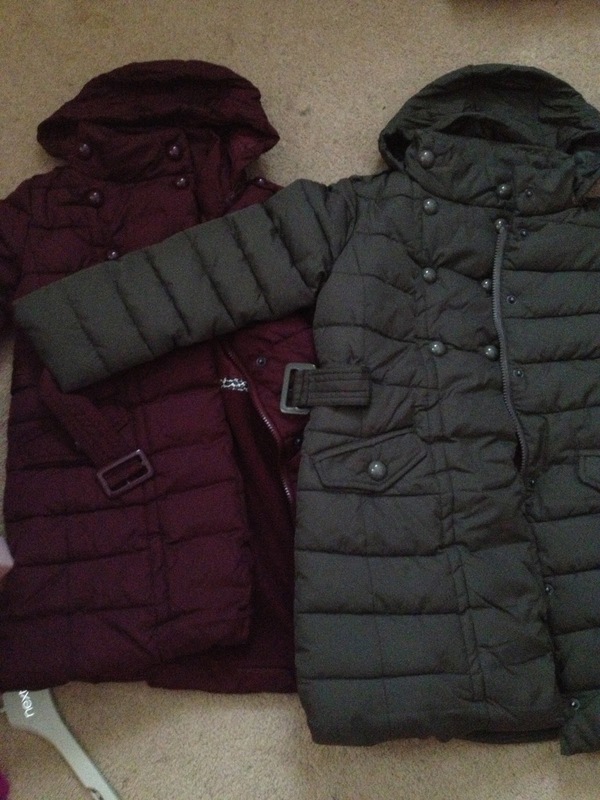 The coats are made out of polyester and are like a longer length puffer jacket, ideal for the colder weather and they can be easily done up with a zip or poppers, or both. I like how it does up around the neck to so you wouldn't really need a scarf when wearing this coat. What I really love is that the hood can be rolled up and zipped away, hidden in the collar when not in use. My only concern would be that the hood may not be very waterproof because it isn't very thick, however I'm hoping the rain stays away for a bit longer, so I might not get to test the hoods out for a while yet!! The inside of the coat is lined with fleece, making it extra warm and cosy. There are even two pockets on the outside, these can be used to store their gloves in when not in use or to keep little hands warm when out playing and chatting in the playground. Of course I couldn't write a review properly without the coats actually being worn and tested out properly. So Elise and Freya got into model mode to showcase just how gorgeous these coats really are. Freya told me that in the second photo she is, "sleep smiling". 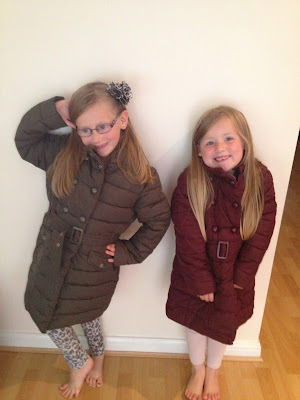 The coats are a perfect length, sitting just below their knees and the size of them means that there is plenty of room to move and even if they were to have a growth spurt the coat would still fit them. The hoods are a great size, covering their head but no over hanging so they can still see perfectly when they are up. The belts on the front add a nice finishing touch to an already stylish coat and if you can't already tell from the photos, the girls really love them. The coats are machine washable, so no need to worry about them getting dirty as they are easily cleaned. Priced between £32 and £38 dependant on the age of your child, they may seem on the dearer side but I think they are well worth the money as the quality is superb and because of how roomy they are, they may even get away with wearing them the next year too!!! 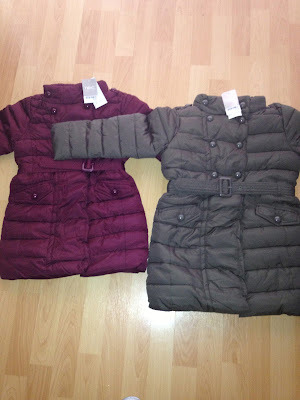 So who else has bought their Winter coats, what criteria do you have when it comes to buying coats and jackets for your children?? Disclaimer : These coats were sent to me free of charge for reviewing purposes however all thoughts and opinions are my own. They do look lovely and warm, but I'm hoping they don't get a chance to wear them again for a bit. Hoping for some more summer yet. I've not bought winter coats yet...I think I'm giving it a few weeks yet!